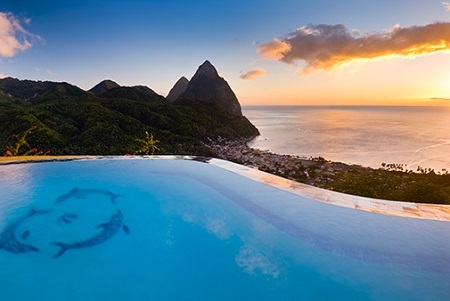 La Haut Plantation Resort in St. Lucia! in St. Lucia in the Caribbean! * Not Valid for Stay during Thanksgiving weekend, Christmas and New Year's weeks, President's Day weekend, Easter week, Memorial Day and labor Day weekends, 4th of July. La Haut or Le Haut literally means “the height” in Patois, a French dialect that is commonly spoken by St. Lucians. 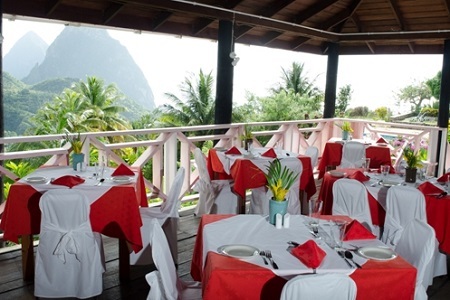 La Haut sits on a hill overlooking Soufriere, one of the oldest towns in St Lucia. Part of a 52-acre former coconut and cocoa estate, the main Guest House possesses a unique history. Nearly 100 years old, the main guesthouse was originally a cocoa house used for fermenting and drying cocoa beans hand-picked on the estate. 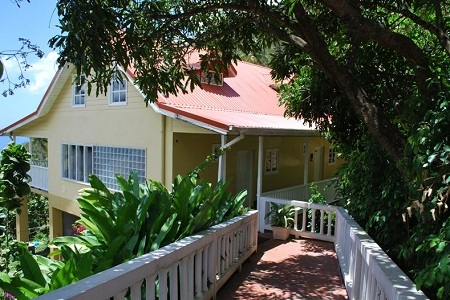 In 1995, the building was converted and refurbished into a 6-room guesthouse. The nearby cottage was a former copra house where coconuts were once processed. Although the rich aroma of cocoa beans no longer wafts through the air, at La Haut you can enjoy the perfume-scented, tropical fauna or the salty breeze that blows off the Caribbean Sea. Every Monday La Haut host a cocktail hour for in house guest who get an opportunity to meet the owners and mingle with other guests. Complimentary hors d’oeuvres, house wine, rum punch and juice are provided. Delice Restaurant and Bar at La Haut Plantation overlooks a breathtaking vista described by locals and visitors alike as “perfect”. Relax on one of three outdoor balconies while savoring the very best in authentic Creole and International cuisine. We use the finest locally grown fruits and vegetables, with fresh herbs grown on our resort. 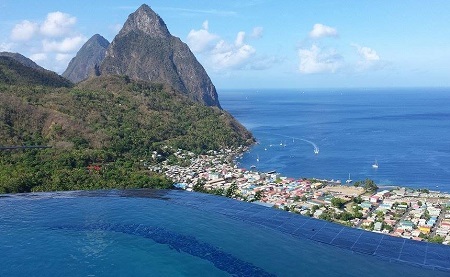 St Lucia is an island rich in natural beauty: lush rainforests, twin peaks, waterfalls, sandy beaches, flowers, birds and much more. La Haut offers an abundance of things to see and do, such as daily hikes, activities and excursions – or just relaxing in one of our two pools. 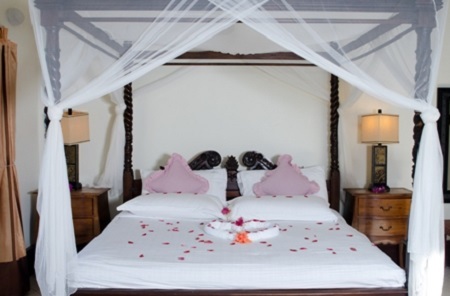 Offer is based on a Single or Double Occupancy in a Premium Vista Rooms - Cashew Rooms. Located 200 yards from the main building.